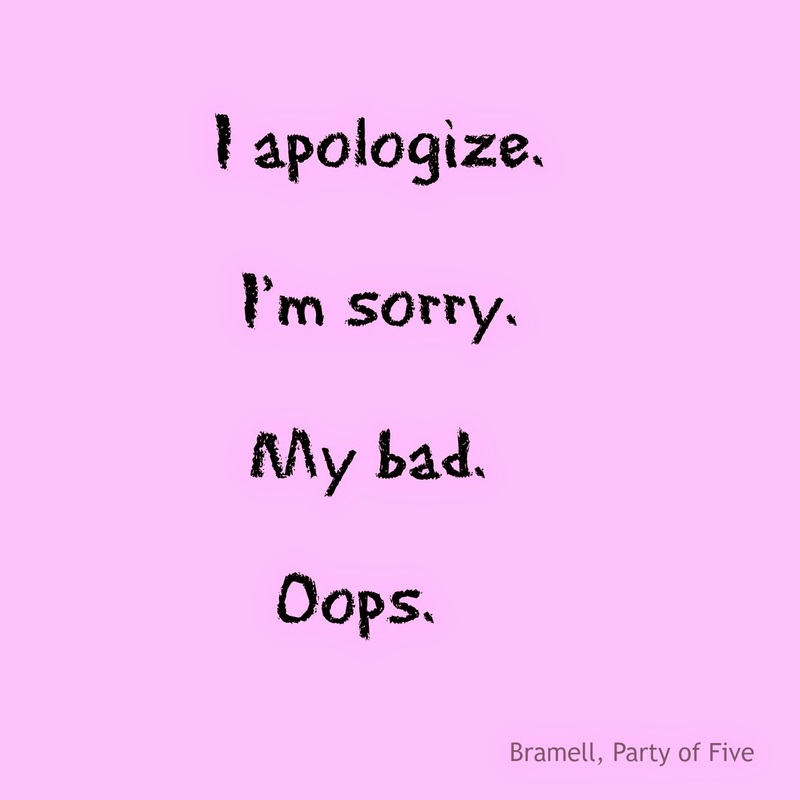 Today, I felt like I needed to write an apology. To my blog. You see, it's been very neglected lately and it's feeling quite abandoned. The downslide started back around mid-November when Girl Twin had her tonsils out. I got wrapped up in taking care of her, not sleeping as much, and got really tired. Then it turned into busy time at work, so I just decided to take a "holiday hiatus" on the blog. After the break in December, I figured it would be a great time to get started on the blog makeover that I'd been putting off for forever. I needed time to research some designs, find someone to make the changes and find an artist to help me carry out my ideas. By then, the blog had been in limbo for so long that I just got lazy. Now, with the start of April, I'm finally ready to get back in the groove. I'm on the work list for a new design and I have just seen the first draft of my new header today. Poor blog, I know how you've missed downloading and displaying the photos of my family. I know you are wondering what's happened to Fergie's eye. I know you are longing to hear the ridiculous things that my kids are saying to each other. I know you just want me to sit down and TYPE SOME WORDS, DAMMIT! I'm getting there. It won't be long, I promise. Pretty soon you won't look like a random generic Blogger template anymore. You will look pretty and fresh and happy! Eager to be pleasantly surprised!